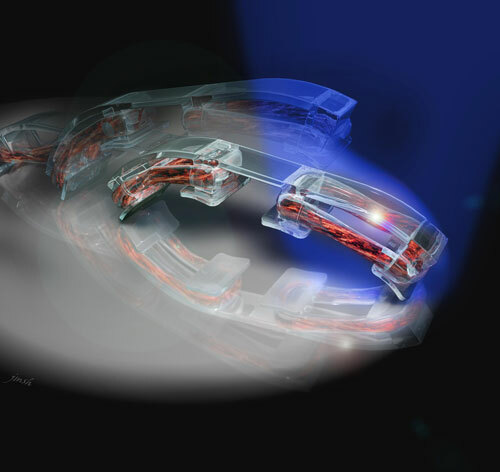 (Nanowerk News) For the past several years, researchers at the University of Illinois at Urbana-Champaign have been developing a class of walking "bio-bots" powered by muscle cells and controlled with electrical and optical pulses. Now, Rashid Bashir's research group is sharing the recipe for the current generation of bio-bots. Their how-to paper is the cover article in Nature Protocols ("A modular approach to the design, fabrication, and characterization of muscle-powered biological machines"). "This protocol is essentially intended to be a one-stop reference for any scientist around the world who wants to replicate the results we showed in our PNAS 2016 ("Optogenetic skeletal muscle-powered adaptive biological machines") and PNAS 2014 ("Three-dimensionally printed biological machines powered by skeletal muscle") papers, and give them a framework for building their own bio-bots for a variety of applications," Raman said.